UPDATED – VATICAN CITY (CNS) — Pope Francis sent his condolences to the victims and survivors of a deadly shooting that occurred during Mass Aug. 6 at a parish in Nigeria. Cardinal Pietro Parolin, Vatican secretary of state, expressed the pope’s sentiments in a message dated Aug. 7 to Bishop Hilary Odili Okeke of Nnewi. Pope Francis, the message said, was “deeply saddened to learn of the loss of life and injury following the violent attack” in St. Philip’s Catholic Church in Ozubulu, a town located in the Nigerian southern state of Anambra. 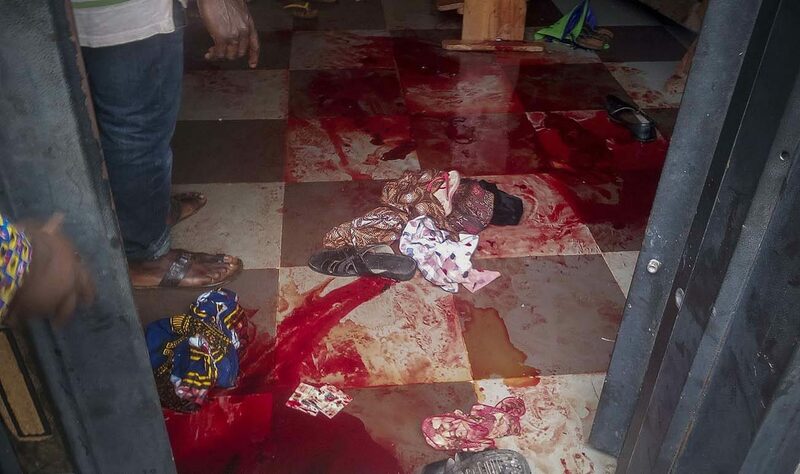 According to the Nigerian newspaper, The Vanguard, witnesses say a gunman entered during an early morning Sunday Mass and opened fire during the prayer of the faithful. The BBC and other news outlets reported Aug. 7 that at least 11 people were killed and as many as 18 others wounded as they attempted to flee the carnage. While no suspects have been caught, authorities believe the target was a young businessman involved in a drug deal gone wrong. In southwestern Nigeria, bishops called for the government to strengthen security to guard against the murder of innocent citizens. In a statement at the end of a regional meeting, the bishops called the attack “horrendous and callous” and said they had heard different accounts analyzing the mayhem. They advised Nigerians to collaborate with security agencies by giving information where necessary and obeying the rules of vigilance and personal security at all times. Contributing to this story was Peter Ajayi Dada in Lagos, Nigeria.